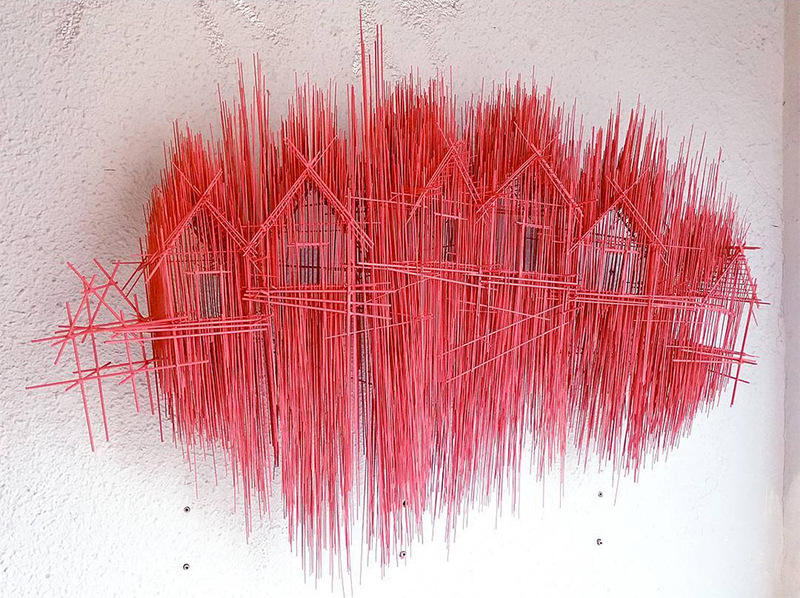 Barcelona-based David Moreno. 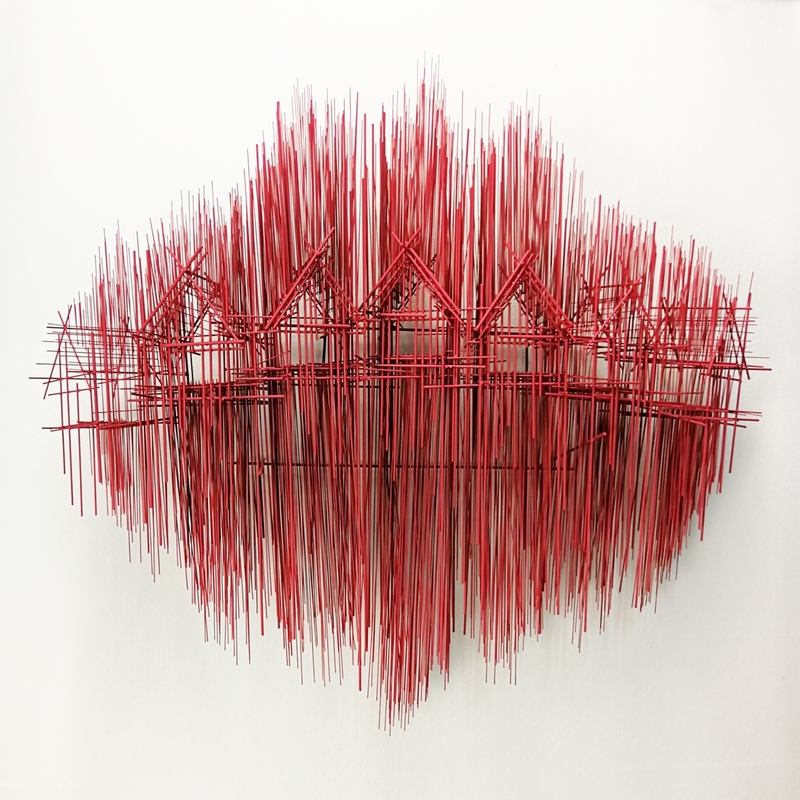 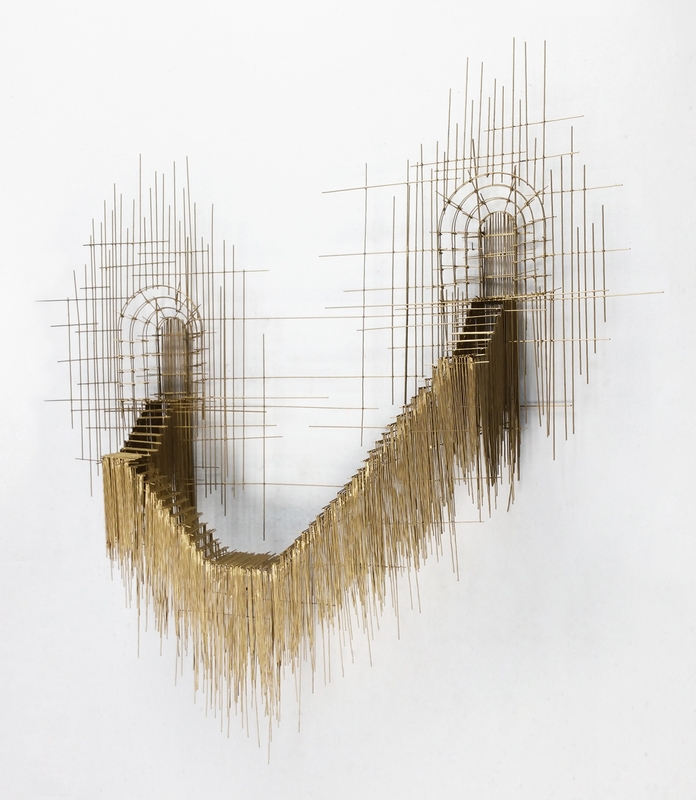 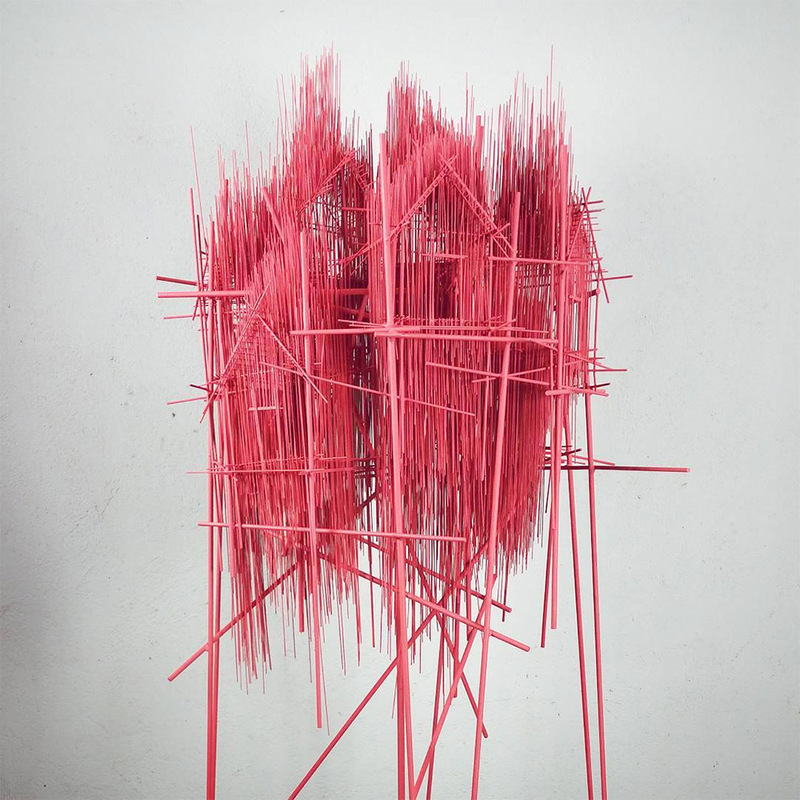 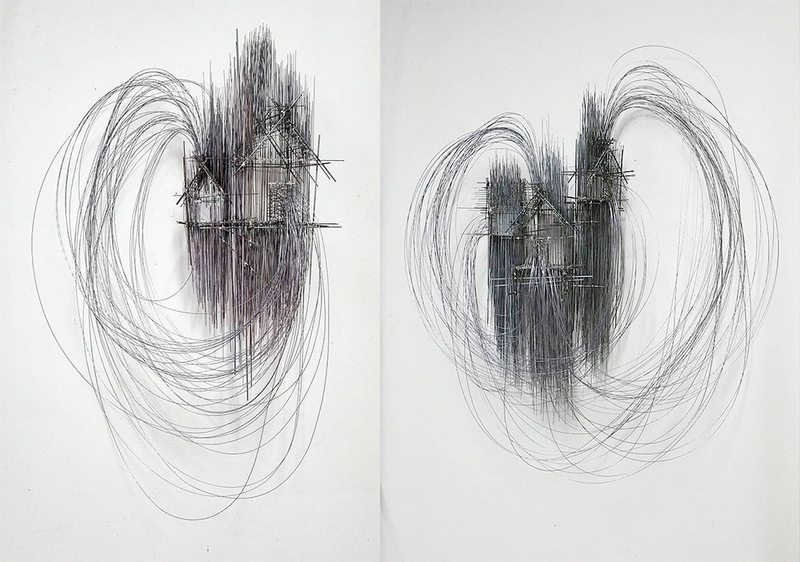 Describing his process as “drawing with sculpture,” his 3D works made from wire mimic scribbly line drawings. 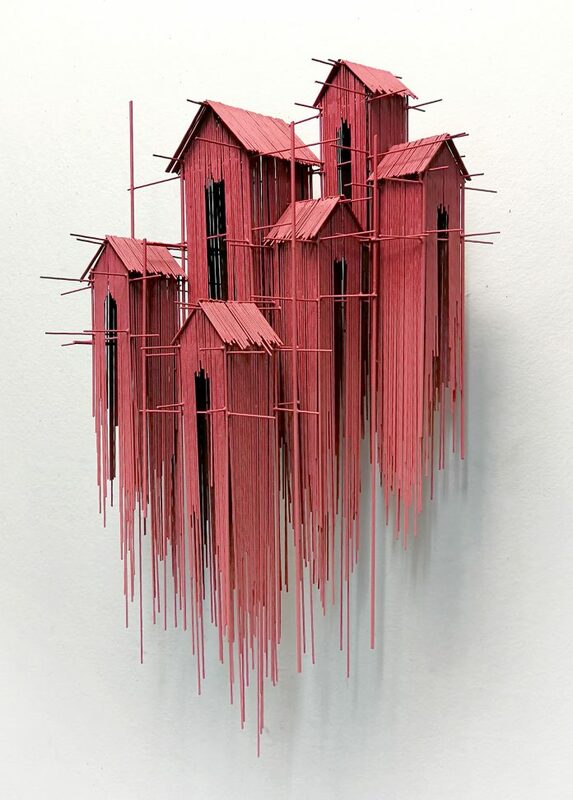 Continuing this technique, Moreno’s latest pieces are inspired by grand cathedral doorways and staircases. 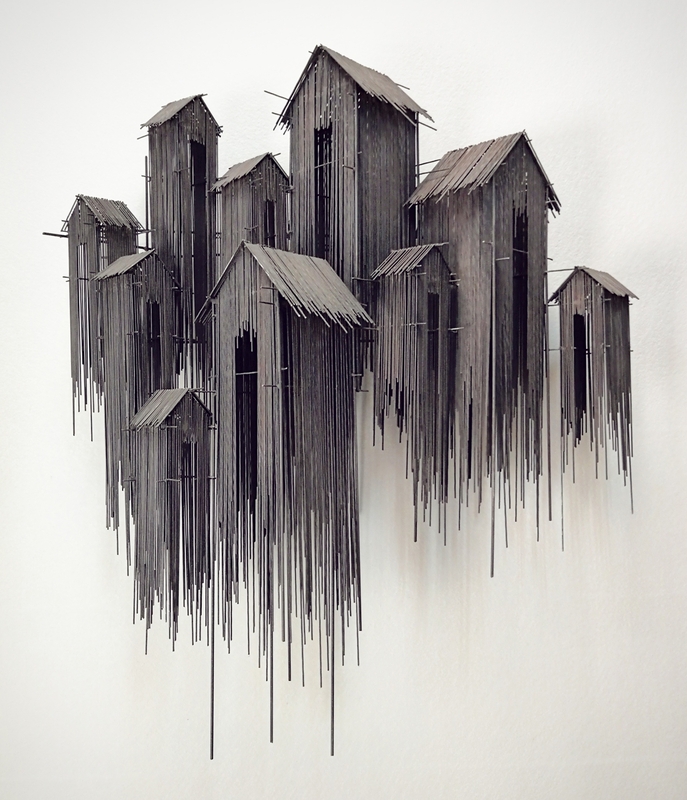 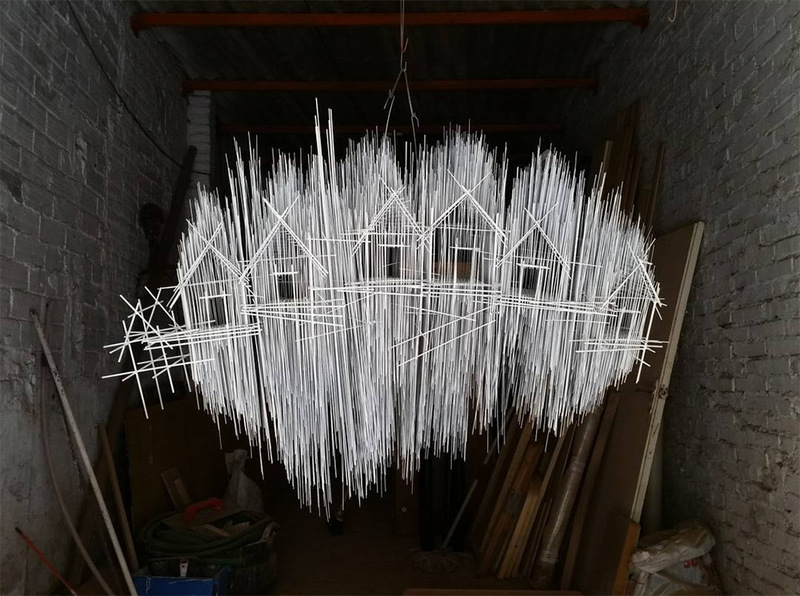 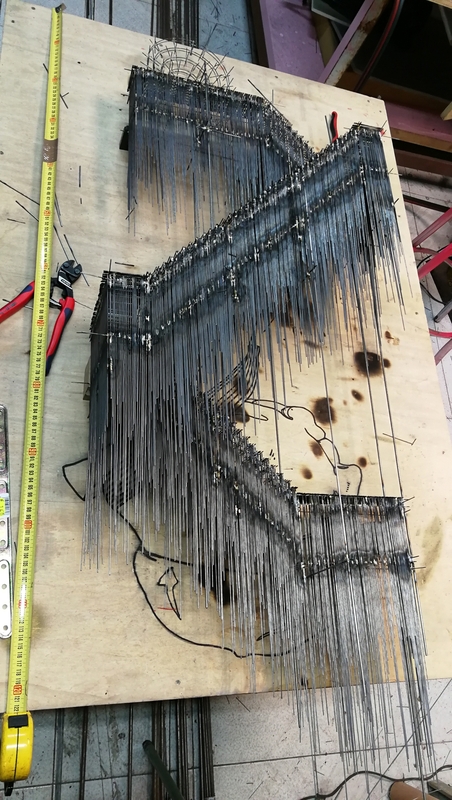 Starting out as frantic cross-hatched sketches, Moreno uses hundreds of steel rods and piano wire in varying lengths to create his surreal architectural scenes. 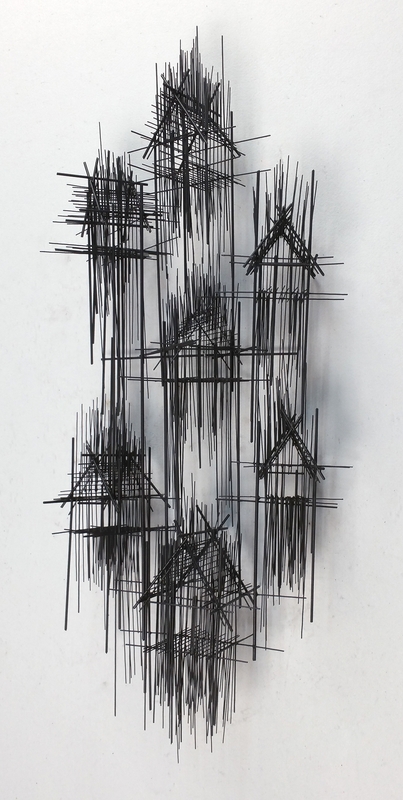 The overlapping material is welded together to mimic their free-hand pencil origins. 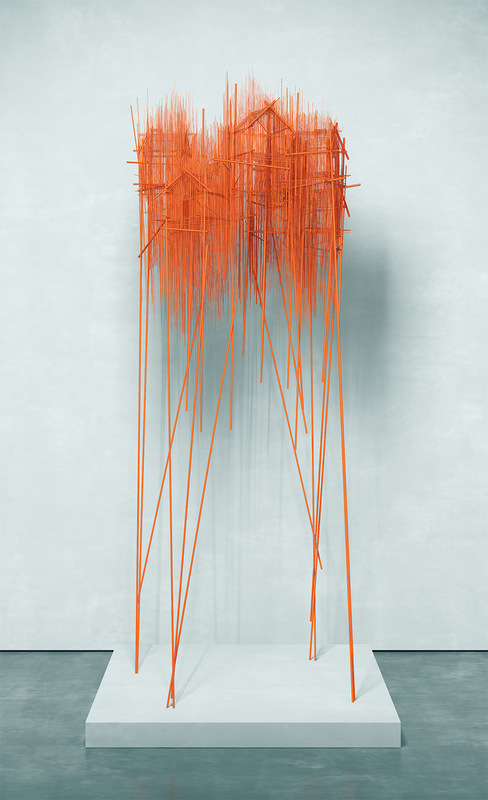 Hanging on gallery walls or from the ceiling, Moreno’s pieces are often lit by spotlights, which create long, soft shadows that contrast with the hard vertical lines. 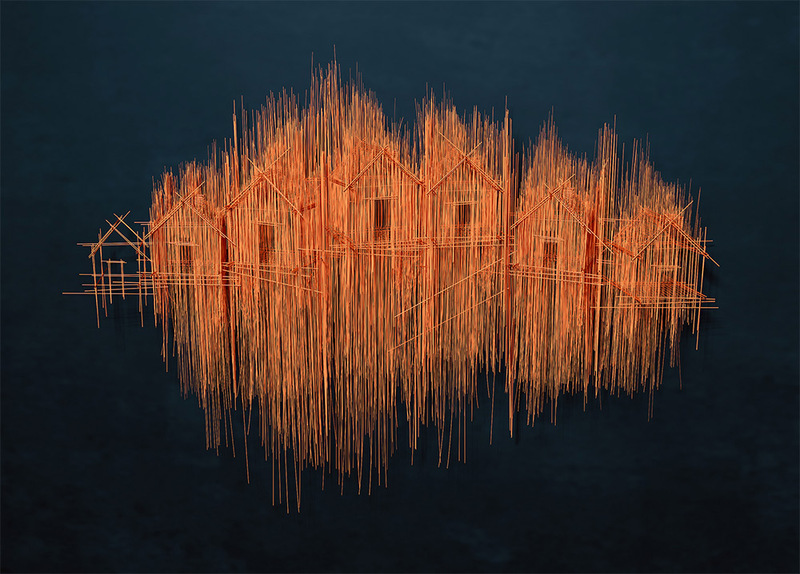 This effect provides even greater depth to the “micro-atmospheres” he creates. 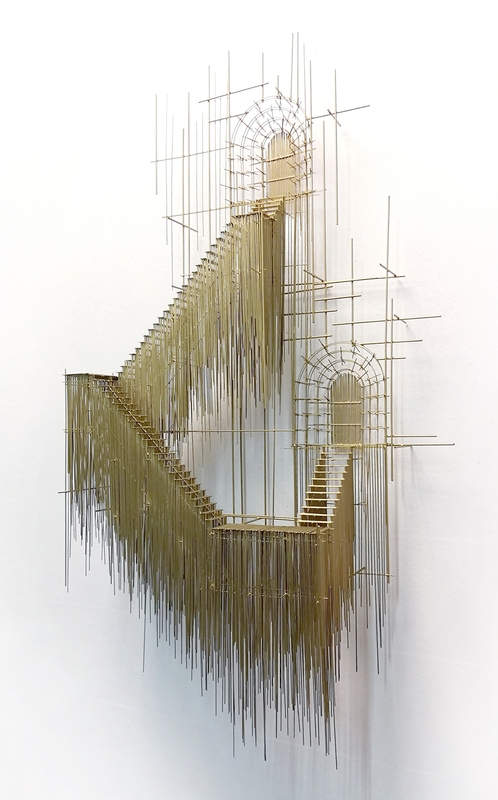 Fragile, floating staircases—painted in silver and gold—connect intriguing doorways to unknown lands. 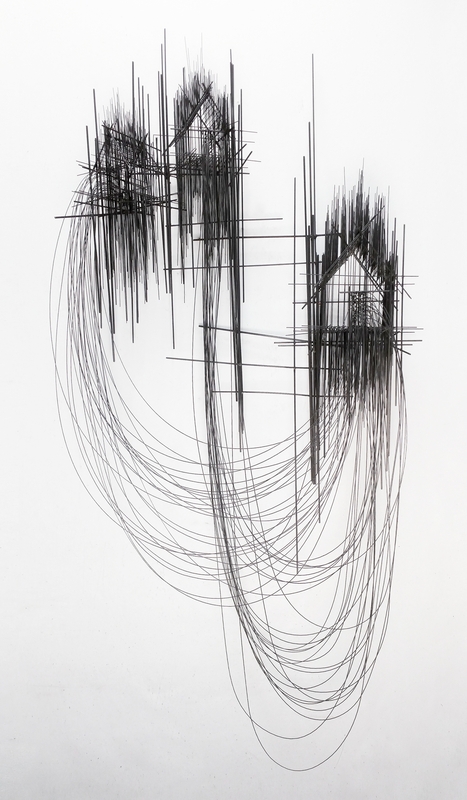 To Moreno, these connections signify bonds in human relationships: he sees human energy as a series of interconnected lines.